Before shipping your products, you will need to choose the right type of shipping container. Doing so will ultimately save on shipping costs. Dry Storage Containers: The most common type of container, especially in 20’ and 40’ sizes. They are used to transport dry goods. Flat Rack Containers: Used for transporting oversized items. They usually have collapsible sides without walls. Open-Top Containers: These have a removable top, and are used for transporting over-height products. Tunnel Shipping Containers: These have doors on both ends of the container, which makes loading and offloading easy and quick. Open-Side Storage Containers: These open up on the sides, not the ends. They make loading easy, especially for wide items. Refrigerated Containers: These preserve perishable goods for travel, like fruits, seafood, and flowers. Insulated /Thermal Containers: These have temperature-control features to transport products that need to be kept warm for the duration of the shipping process. Half-Height Containers: As their name indicates, these are half the height of normal containers. They are ideal for transporting heavy but low-volume cargo. They can be used on trucks to transport sand and gravel. Car Carriers: These are specially made to transport cars, to ensure their safety. Other types of containers include tanks, refrigerated containers, drums, and swap bodies. What sizes do shipping containers come in? Shipping containers come in different sizes suitable for different products. 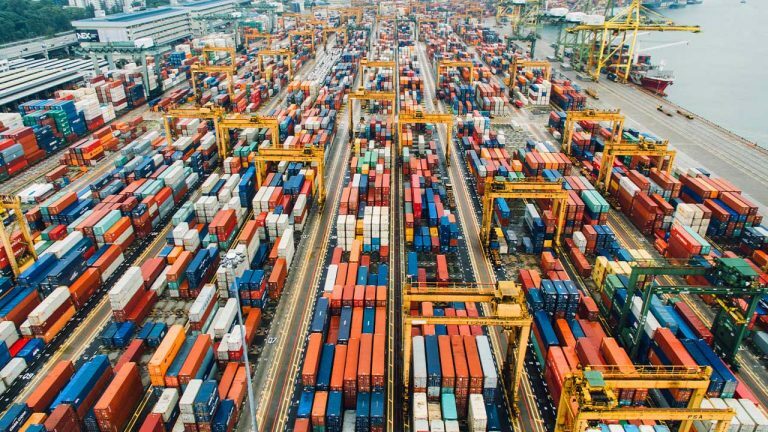 The most common sizes of shipping containers are 10’, 20’, and 40’; the last two sizes are the most commonly used because they make transportation easy. What is the cargo? While choosing the right type of shipping container, you need to consider the cargo that you are shipping or hauling. Some cargo is extremely heavy; other cargo is simple to load and unload. Special cargo, like perishable products, will require refrigerated containers. Oil, petroleum products, and other liquids require tanks. There are also custom-made containers for any sort of special cargo that you might have. How much do shipping containers cost? There are various factors that go into determining the cost of a shipping container; size is one of them. The age and the condition of the container is important, too. If it is old and beaten up, it should cost you much less than if it is in pristine condition. On average, a 20’ container can cost anywhere between $1,400 and $2,500, while a 40’ container can cost between $3,500 and $4,500. What is the Role of Logistics? Logistics is a subcategory of supply chain management that refers to the management of the movement of goods or services from the point of origin to the point of consumption. Freight logistics is a further subcategory of logistics involving only freight. There are two types of logistics, namely inbound logistics and outbound logistics. Inbound logistics is a primary component of logistics and involves the procurement, transportation, and storage of products, materials, or parts from various locations for assembly or production. Outbound logistics refers to all the supply chain activities involved in the transportation of the finished product to the distributor, to the retailer and, ultimately, to the end consumer. Transport can be carried out via air, sea, rail, or roads. There is often some confusion as to the difference between shipping and logistics. The essential difference between shipping and logistics has to do with scope. Shipping refers to the transfer of goods from one place to another via air, sea, road, or rail. To understand logistics, one has to take a step back. Logistics is the administration of the process of acquiring goods, storing them and, finally, delivering them to the end user. The logistics of physical products involves the coordination of specific areas of specialization, including information flow, production, inventory, and storage. Shipping is one of these areas of specialization that forms part of logistics and is, therefore, an integral part of logistics. Logistics and shipping are both key components of a supply chain. If one or the other is lacking, chances are that the business will experience problems relating to inefficiency. What is Freight Forwarding in Logistics? Freight forwarding is a critical element of logistics and involves the movement of goods around the world by making use of a combination of sea, road, rail, and air shipping services. Say, for example, you want to ship products from your warehouse in Dallas to a customer in London. The freight forwarder will pick up the product at your warehouse and pack it, place it into a container, and arrange for all necessary export permits. The freight forwarder will then book the shipping, deliver the product to the port or airport, handle handovers between shipping companies, receive the product at the airport in London, take care of nationalization, and deliver the product to your customer’s door. Freight forwarding differs from shipping in that shipping only involves transporting the product from point A to point B.
Brimich Logistics specializes in supply chain management and third-party logistics. If you are interested in learning more about freight logistics, or if you need high-quality logistics solutions, contact Brimich Logistics today. Supply chain management is vital to the efficient operation of any business handling physical inventory. When implemented correctly, it can result in lower costs, shorter lead time, lower risks, and ultimately higher profits as a result. What is Supply Chain Management, and Why Is It Important? A supply chain is a network of individuals, firms, resources, operations, and technology that a company uses in the creation and sale of products or services from the delivery of raw materials by the supplier to the delivery to the end user. Effective supply chain management allows a company to gain an advantage over their competitors in the industry as it lowers the inherent risks of buying raw materials and selling products or services. A business with an adequate supply chain management system in place will also be able to reduce waste and overhead costs. What is an Example of Supply Chain Management? A well-known example of a supply chain management system is the one used by Walmart. Walmart doesn’t have many links in their supply chain, and, instead of buying branded products, they stick to generic goods purchased directly from manufacturers. Walmart uses a system called “vendor managed inventory” to ensure that suppliers are responsible for the products that Walmart owns in warehouses. Walmart also goes to extremes when it comes to choosing suppliers. 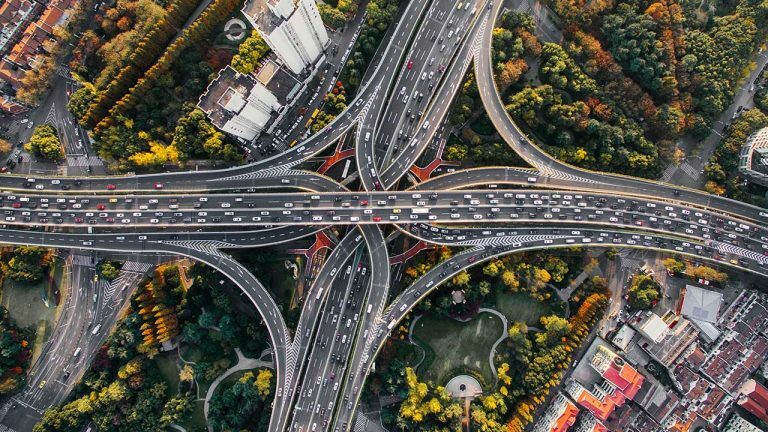 They typically only partner with suppliers that can meet their demands and that are conveniently located to keep transportation costs as low as possible. The concept of economies of scale is a crucial ingredient of Walmart’s successful supply chain. Walmart purchases goods in large quantities from manufacturers. They ship these goods directly to their warehouse before delivering them to their stores. Since these are the only links in Walmart’s supply chain, their input cost per unit is low enough to provide their customers with more affordable products. What is the Supply Chain Management Process? 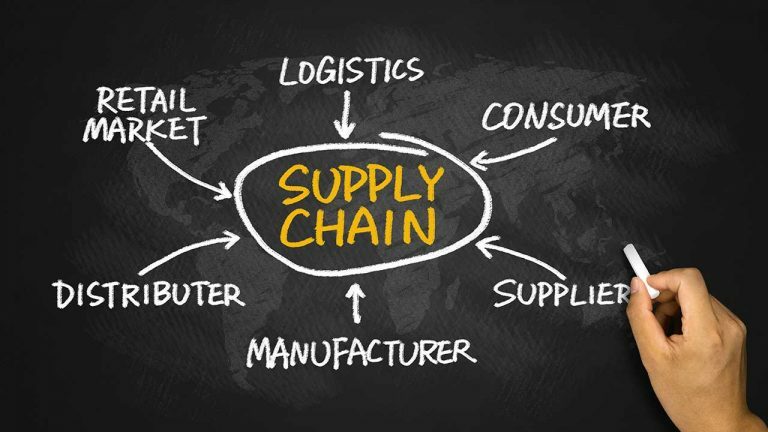 The supply chain management process consists of several steps, including strategic planning, demand planning, supply planning, procurement, manufacturing, warehousing, order fulfillment, and transportation. Strategic planning refers to the design and optimization of the supply chain model. Demand planning involves lifecycle planning and predicting the future based on various forms of data. Supply planning includes safety stock planning and customer and supplier collaboration. Procurement is a three-step process that provides for purchase order processing, receipt confirmation, and invoice verification. Manufacturing refers to production planning and product manufacturing. Warehouse processing includes inbound and outbound processing, as well as storage, physical inventory, and cross docking. Order fulfillment process refers to the sales order and billing processes. Transportation includes planning, execution, and costing processes. What are the Key Benefits of an Effective Supply Chain? Effective supply chain management allows a business to adjust dynamically to changes in the economy and to predict and meet future demands. A functional supply chain enables a company to ship products to customers over vast geographical areas at minimal costs and within a short time. Another key benefit of a high-performing supply chain is that it reduces risks relating to product compliance and quality. If you want to improve the supply chain of your business, contact The Brimich Group today. The Obvious Question: What is a Freight Broker? Is your business thinking of dabbing into the international market but not sure how to start? As your business experiences success locally, it won’t be long until you eye the markets abroad. However, exporting your merchandise isn’t a simple process. There are a lot of documents, regulations, and processes that are required before you can start exporting. Not only that but also selecting a trustworthy shipping provider is vital. All of this can seem a bit of drag for businesses, which is exactly why freight brokers are a valuable asset to any business. Freight brokers are the intermediary that liaise between your business and shippers. They work with the shipper to handle necessary paperwork and ensure that goods are transported safely to the intended destination. What Does a Freight Broker Actually Do? Now that you what a freight broker, they act as a middle-man between your business and the shipping company. They aren’t solely used internationally but also assist with local freight management. 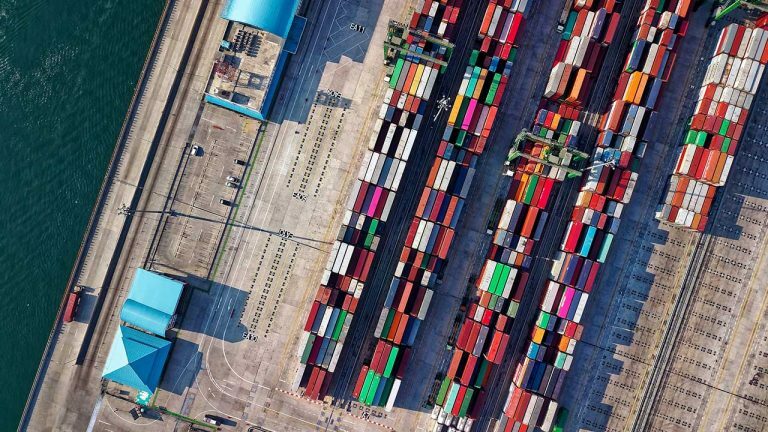 They making shipping merchandise a lot simpler for businesses, which is why the freight brokerage industry has had a huge impact on the US economy. More than 80% of Fortune 500 companies rely on third-party logistic (3PL) companies for their freight, warehousing, and other needs. They do all of this while saving your business money. They add value to your overall supply chain by economically managing the shipping of your goods. They ship in bulk which reduces the cost for you, all the while providing you with a more efficient shipment process. How Do You Know Which Freight Broker is Right For Your Business? There are tens of thousands of 3PL companies to choose from, so how do you know which firm is reputable and right for your business? Reputable freight brokers are part of the Transportation Intermediaries Association (TIA). Being a member of the TIA means that the broker has the knowledge, experience, and are aware of the best practices to act as intermediaries. When it comes to reputable freight brokers, they also have a vast network of reliable partners specifically shipping partners. All to ensure that your merchandise reaches its destination on time. 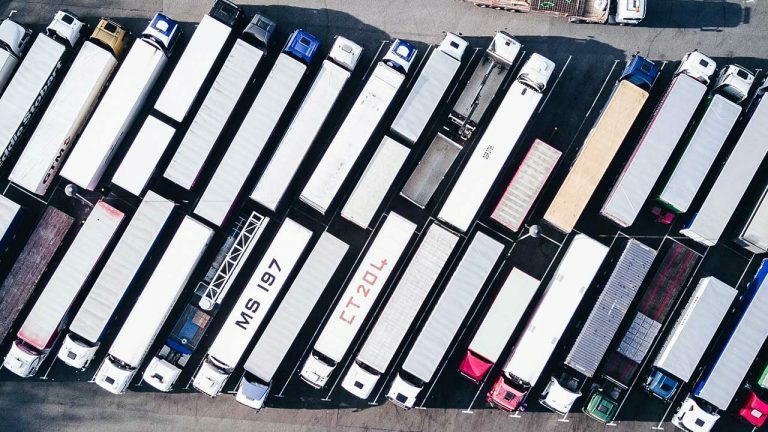 Aside from ensuring freight brokers are a part of the TIA, you also want to see a list of their partners and do a bit of research on them just to make sure they are reliable. If you don’t have the time to do the research, don’t worry as we have done it for you. The Brimich Group is a reputable freight broker that provides exceptional services in the freight management industry. With over five decades of experience, they know all the ins and outs of freight management. You can consult with one of their representatives today and drastically improve your supply chain management. Freight services are an important aspect to any business. It helps ensure that goods are delivered on time and cost-effectively. Its importance continues to increase over time, so much so that the industry is predicted to grow to an estimated value of $17.45 billion by 2023 globally. This service is utilized by the smallest to the largest of corporations to ensure goods safely reach their destination. Why are Freight Management Services Important For Businesses? Businesses shouldn’t have to worry about shipments. For example, in the middle of a busy week, the last thing you want is to have to scramble to make sure that your goods reached their destination. Customer Satisfaction: Working with an organization that has expertise in logistics ensures your customers receive their shipments on time. With the right system in place, you and customers can track every shipment until it reaches its destination, leaving you and the customer satisfied with the overall process. Cost Effective: You can be sure of low freight rates from these firms. Since these companies handle in bulk, rates are lower and even negotiable depending on the amount of business you give them. The more business you provide, the lower your rates will be. Efficient and Time-saving: This goes especially for smaller businesses which don’t have the resources to handle freight properly. Going with a freight company streamlines the supply chain management aspect of your business. With their expertise, shipping will be one of the most efficient parts of your business as you will have all the technology and resources available for a smooth process. Detailed Tracking and Reporting: You will have access to state-of-the-art technology that will provide you with all the tracking and reporting information needed for every shipment, helping you maximize your business efficiency. Shipping Strategy for Your Business: The best part about freight handling services is the fact that you get a shipping strategy as per your business requirements. The company works with you in devising a custom strategy rather than try to fit your business into an existing mold. This service ensures that all your shipping requirements are met. Warehousing and distribution, taking care of your inventory, packaging, and labeling. Dealing with customs, since the process of either exporting or importing goods is quite lengthy and full of paperwork. The service provider will assist in the customs process making it much smoother for you. Providing insurance on your goods in case there is a mishap during the shipping process. As a growing or established business, you no longer have to worry about shipping your goods. With reliable freight management companies, you can let the experts handle that process for you, so you focus on the continued growth of your business. Need a freight management company you can count on? Contact Brimich today! The import and export of goods is a vital aspect of successful businesses. 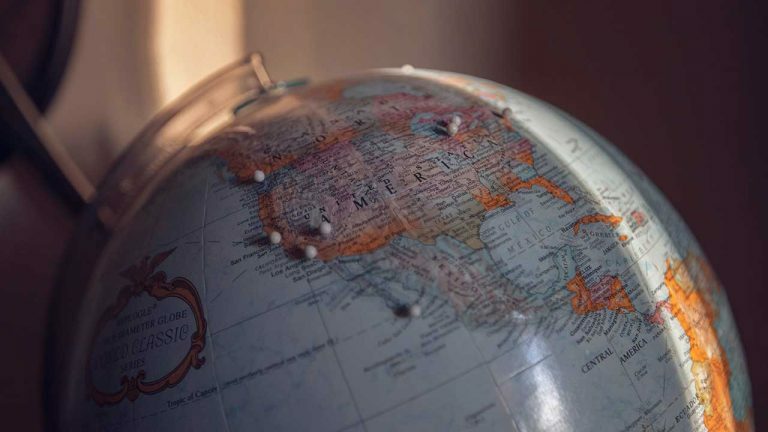 Shipping internationally presents business an opportunity for more growth, which is exactly why a successful business seizes the opportunity when it presents itself. However, as lucrative as the opportunity may be, the process behind international trade is rather extensive. There is a lot of paperwork and regulations that need to be met which tend to discourage businesses from taking the leap into the international market. Freight forwarding companies can help you manage these hurdles. What is Freight Forwarding and What do These Companies do? In short, these companies handle importing and exporting of your goods. They act as an intermediary between your business and other shippers to ensure everything flows smoothly and your goods reach their intended destination. They have a network of trusted partners whom they work with, so you don’t have to do the legwork yourself. How to Find a Good Freight Forwarding Company? That is the first thing you should look for in a company. You want a company with decades of experience in this service, so you know they have what it takes to take care of your business. They will know the ins and outs of freight forwarding services from dealing with port shutdowns to cargo issues. Experience means the company can handle any issue as soon as it arises, so your business faces no problem. Since the forwarder will be dealing with international shipments, you want to be aware of their network. You want to know who their partners are in the country you are either importing from or exporting to. The larger and more reliable their network, the better the chances of your merchandise safely reaching its destination. You want to make sure the provider that you go with works with you in offering you the strategy that meets the requirements of your business. They should handle both air/sea along with the inland aspect of shipping, so you don’t have to worry about a thing. If you are having trouble finding a freight forwarder that provides these along with many other services. Don’t worry; we have a solution for you. The Brimich Group, one of the top freight forwarders, has been in the freight forwarding business for over 50 years and has the experience to ensure your freight reaches its destination safely and in a timely manner. We’re happy to work with you in developing a strategy that provides you with all the services required to have peace of mind when importing and exporting goods. Brimich Logistics’ mission is to provide the best value added services in the Warehousing, Supply Chain Management, and 3rd Party Logistics industries. By giving 100% at all times and using the latest cost-effective efficient systems available, we will deliver reliable, responsive and dependable service that exceeds our customer’s expectations.